Your choice of Breast Augmentation or Enlargement is obviously well justified because it is one of the best options for women who deserve more. Breast enlargement surgery has a great energizing impact on every woman because it has comprehensive benefits from the perspective of physical, emotional and psychological health. Facilitating your treatment process by customizing every aspects of it is what Leeds Clinic for Cosmetic Care is popularly known for. You don’t need a lot of external counseling to figure out the need for Breast Enlargement Therapy as you can easily recognize under developed Breasts when compared with others as well as your own body type. The real challenge is to identify an appropriate solution that can naturally or artificially enhance your Breasts impression without impacting their health. Breast enhancement is all about objectivity at times and realistic approach is possible when guided by relevant experts from the field of Cosmetology and Breast Health. 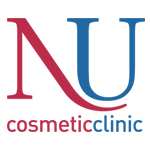 Nu Cosmetic Clinic has been building its reputation and identity based on excellence that is further reflected through innovative processes with an ultimate objective to transform people’s lives. Cosmetology has all the potential to enhance the desired confidence and boost your self-image; Breast Enlargement is a prominent facet of global cosmetic solutions. Leeds Clinic pays its role by bringing in a personal angle to the internationally recognized and time-tested procedures; our experts would look at the patient priorities and cosmetic possibilities in a much balanced manner. 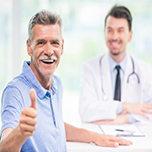 As a patient, you will experience the real-time difference in our approach which is nothing but a key aspect of our core philosophy driving excellent outcomes and commitment at work. Above all we care for your health and our rational approach reflects that impression in terms of solutions we recommend. We take a very critical view about the online ratings and reviews that also reflect our reputation, standards and standing in the cosmetology industry, which is not just limited to UK alone. Because of the nature of online platforms, these reviews and recommendations carry a great relevance and can impact our reputation either positively or negatively. 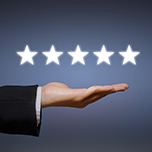 As a matter of conviction, we are open to all sorts of criticism and recommendations; the end result is pleasantly surprising as Nu Cosmetic Clinic continues to retain its premium ratings. Such a positive trend is not only encouraging for us but also has its relevance for patients who want to validate our claims and the good news for you is that we are open for such a scrutiny which must inspire confidence in you. Our successful streak of performing Breast Augmentation or Enlargement Surgeries is driven by certain critical success factors and all of them are directed towards providing healthy and positive outcome to the patients, time and again. Such a determined approach is the reason for every happy and satisfied patient who doesn’t stop by thanking us but goes on to share testimonials capturing the best reasons why everyone should consider Breast Enlargement Surgery or any other relevant cosmetic procedure at our Leeds Clinic. While we cherish these motivating testimonials, we share the same with enthusiastic patients wanting to know how it impacted others in the past. Our clinic is open between 9:00 and 17:30 during the weekdays as per the routine. We are also open to schedule special appointments for which we are available during the late week days and weekends as well. Situated closely to the north west of Leeds City Centre in the heart of Leeds, our Otley Road Clinic is easily accessible. We are located at 8 Tinshill Lane, Cookridge, Leeds, LS16 7AP.